This iconic Merrythought teddy bear is a loyal friend for all to enjoy. 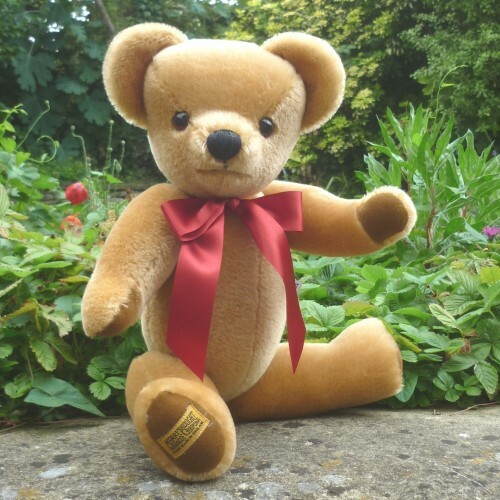 Made from soft golden mohair with oak brown wool felt paws and a scarlet red satin ribbon, this London Gold bear has an internal growler and is the perfect first teddy bear for a child or adult alike. 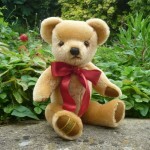 Also available with music box – playing ‘Teddy Bears Picnic’. Please telephone for availability.